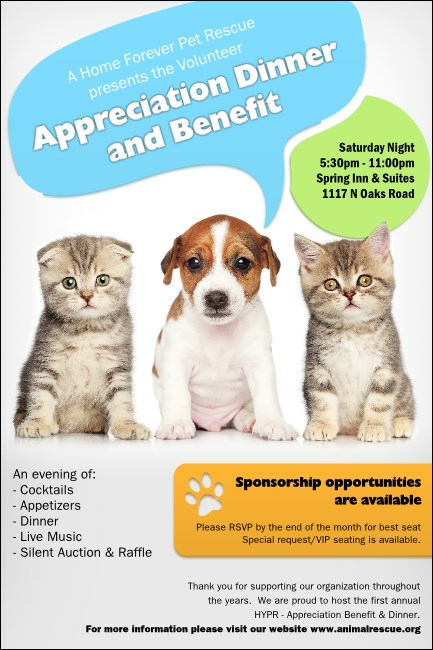 Save your event from low ticket sales with pre-event promotions that will make everyone say “Aww!” Print Animal Rescue Posters and post them in advance for your next event. This Poster template features two delightfully cute kittens and charming little puppy on a light background accented with soft colors. Right “meow” is a great time to advertise at TicketPrinting.com.